﻿ Sundays can be a bit difficult in terms of my BPD symptoms. In reality, Sunday means that the weekend is winding down and that my boyfriend and I go back to work tomorrow – just as we do every week and have every week for as long as we’ve been together. The scared, little girl inside of me, a part of me that I am learning to nurture and learning to set boundaries with so that she does not “run the show,” so to speak, sees Sunday evening as a threat. She feels anxious and uncomfortable. The routine, once again, will change, and the man in her life – who she often clings to and sees as a source of constancy and normality, will go off to work, “leaving her alone” in the big, cold world. She felt secure all weekend, by his side, doing their usual, typical weekend things: running errands, enjoying lunch at a favorite hot spot, taking a nap or too. Now, they will be apart. All week. Except for after work. For the typical person without BPD, it may be difficult to understand why I, or anyone with BPD would take something so “normal” and feel so threatened by it. For me, it is a few things that I believe come together to cause this anxiety, but mostly, it is my struggle with identity. I have described myself to doctors (which ultimately led to my diagnosis last year), as a chameleon. While I have some things about myself that I know are a part of me, I have a survival mechanism in me where I have learned to mimic those who I am with and to “read” them so that I behave in ways that they find acceptable – essentially so that they will accept and like me and not reject me. This may sound manipulative, and to a degree, it is. But for SO many years, I did it unconsciously. Now, I am much more aware, can catch myself doing it, and can be compassionate as I work toward figuring out who I am – not who I think others want me to be. It is exhausting to “be one way” all weekend only to shape-shift to be “someone else” at work for my boss and co-workers. Every Sunday, things change again. No doubt, the survival mechanism to be like a chameleon stems from childhood, which was rocky, uncertain, unstable, and often scary. Now, it doesn’t serve me, and it is one of the things I am working on in DBT (Dialectical Behavior Therapy) Group. I am off to try to enjoy this night by doing some things that I find fun – including watching Celebrity Apprentice. I’ll write more soon. May your Sunday evening be less stressful, less anxiety-filled, and my your heart be filled with more peace. I just found your blog and was drawn to the title of this post. I can sooooooo relate. Except I dont do fun lovey things on the weekend with my family or husband. It's just being near them and then not. My chameleon qualities extend to my family as well. I'm who they expect. Everything alright all the time. Therapy is the only place that it's sort of ok to unveil or try to discover a real me. I've only been with my current therapist since july but have been in therapy and on meds since 2001. Would love to talk to you more- I'm trying to come out of my mental health closet into the world but its a difficult process anf I font want the illness to define me but right now out really does. Sunday nights have always caused me a great deal of anxiety since childhood. I do relate quite to well to the idea of being a chameleon and I admire the poignancy of the metaphor. However, I do need to point out that being a chameleon is, to an extent, necessary to maintain relationships. When you mentioned being "someone else" for your boss and co-workers, that exact idea of acting differently to suit your environment is necessary in certain circumstances. Call it redundancy, but I'd imagine you don't behave toward your boss as you do toward your boyfriend. I believe that it helps to strengthen one's sense of identity when you can accurately feel out how to act in front of certain people. It's also a mechanism to ensure your safety. 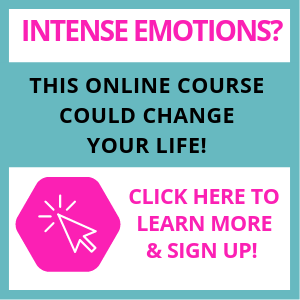 To be able to consciously turn off that state of intense emotionality in places like your job ensures you can differentiate the elements of your life from one another and use your sensitivity to harness your feelings for appropriate situations. 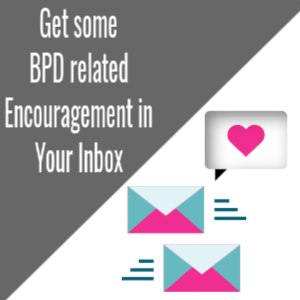 Also, I found your twitter account (I'm @bpdwontdefineme) and I think you're an incredible person with a lot of honesty and strength. Best of luck in your recovery and sending love from another borderline who understands your battle. Hello Mary, Thank you so much for your comment. Wow – so you've experienced Sunday Night Anxiety since childhood? Thank you for sharing that. I also agree with your note that being a chameleon, to an extent, is normal for all human beings and that we differ in our mannerisms and behaviors depending on who we are with. There are definitely normative cultures and social expectations. I guess what trouble me about the shifting of parts of selves in BPD is that, at least for me, things as deep as values, religious beliefs, and even sexual orientation shift depending on the company. These are things that tend to be stable in non-BPD individuals. I am improving a lot and noticing that many of my values are remaining in tact and staying the same in any company — a sign of getting well, I suppose. I will look you up on Twitter and follow you. Thank you for taking the time to post. I appreciate your insights greatly. Yes i also agree! i dont shift my sexual orientation that way, i just don't know what i am. i think thats why it is easier to be the same as those around you! An interesting post! Thank you for sharing. I am a stay at home parent….so Sundays used to be extremely difficult and caused much anxiety and agitation. My behavior was terrible until I realized what I was letting causing it. It is nice to read about others experiencing Sundays. 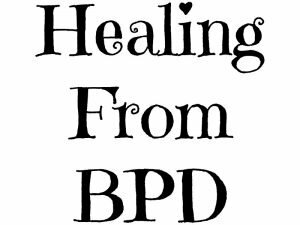 right now the doctors are in the process of determining if i have BPD. i can totally relate to your post. i dont really know the real me anymore all i know is im different at work and at home and with my family. i feel like i try to fit in so i mold myself to be what they expect and will accept. your post help me realize im not alone and i might get through this one day. I wish you strength and comfort as you receive the help you need. Once it is determined what diagnosis you have, you can then hopefully receive treatment tailored to help you heal and feel well. You are definitely NOT alone. Thank you for your comment. Oh I've struggled with this for years and years. I could remember as a child running to the window only to watch my Mom leave for work and sometimes if I cried and stared at her out the window she would come back in. This has RUINED me now. I have these tendencies and it is horrible when in a relationship. I hate that feeling in my heart, that scared, anxious feeling. You just don't want the end of the day to come, you want it to be endless and it's just so frightening. I have yet to be diagnosed by a doctor but I feel confident in my abilities to listen to my body and mind and what I'm feeling. I just recognize all the tendencies that people with BPD (and/or bipolar disorder) have, I have but never have been able to understand what or why I act the way I do. It feels good, but at the same time scary to know why I'm feeling the way I do. It's scary because now I know how to tell when I begin having these thoughts, but I don't really know what to do, other than distract myself. I guess that's all we can do. I read a lot and I love reading recipes, about baking, etc. So that fills my mind with positive ideas. Though that dreadful feeling of Monday starting ALL over again is so unnerving sometimes. I'd like to stay stuck in the weekend so much that it bothers me and makes me feel uncomfortable and makes me cry or lash out in anger for things I can't control. But now I take a step back and realize, it's going to happen, I can't do anything about it but endure and counter the negativity. I got my "official" diagnosis in 2010. For me, having a "label" allowed me the freedom to finally say "Hey, I know what's wrong with me, now work with me as I figure it out!" Working is still a HUGE challenge for me, but I'm working on it. To the extent that my answer to a question can change if the person who asks it leaves the room. And if I try to tell them the "real" answer, the private answer, later, I can't remember it. Sundays are the worst when I have to go to school on Mondays. Last semester was lovely because I didn't have classes on Mondays, but I do this semester. And even though it shouldn't sound that bad, only 6 hours, it makes me want to scream and rip my hair out. It's so overwhelming. I thought I'd be used to it by now. It's kind of comforting to know I'm not the only one who feels like this.